Sal Zizzo the much-maligned midfielder-turned-defender, has been signed by Atlanta. The one-time US-international had his option declined after spending three seasons with Metro. Another once-much-maligned player, turned lovable sub Gonzalo Veron, has found a new home as well. 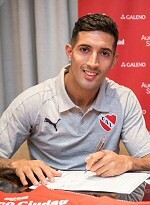 Even though he was taken by DC Scum in the re-entry draft, he had decided to return to Argentina, signing with Independiente.